Here’s an extremely easy and extremely tasty pie that you must try! I discovered the recipe at The Southern Lady Cooks last week on National Pie Day and couldn’t resist trying it. With just six ingredients, it doesn’t take a gourmet chef to create this eye-appealing dessert. My husband was out of town last week, and since I had no one to cook for, I invited his parents over dinner. My mother-in-law, Paula, is a huge country cook…we are total opposites. 🙂 I don’t know if this is a “country” thing, but when she has people over for dinner, she begins cooking early in the day. That way, when people come over, she can talk & visit and not worry about the food. When 4:30 pm rolled around, Paula asked where dinner was. For one – she eats early, around 5:00 pm, and two – she was shocked that I had not even started cooking yet…that would have stressed her out. Growing up, my mom would always start dinner around 5:15 to 5:30 or so. We would be sitting down to dinner at 6:20 – 6:30…it was like clock work. Therefore, I was not at all stressed to be preparing an entire meal in under one hour. The dinner for my in-laws turned out great! They cleaned their plates: the quick chicken parmesan, garlic bread, side salad, and 2 slices of cherry cheesecake pie disappeared before our very eyes! 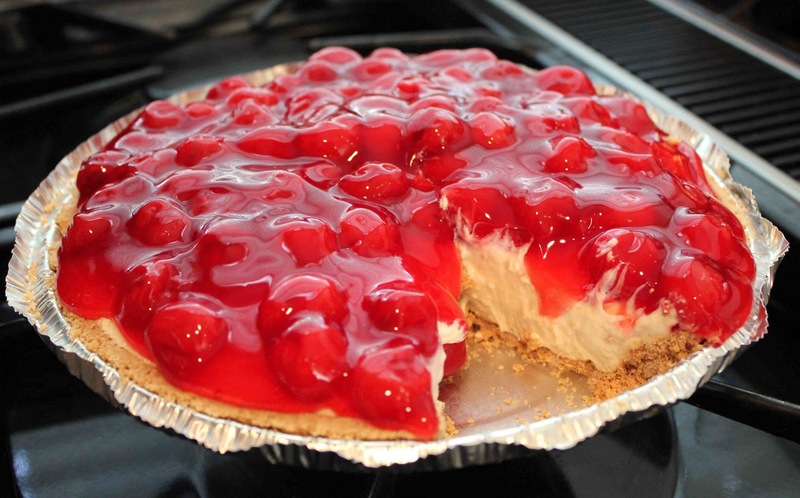 As far as taste goes, the cherry cheesecake pie is outstanding! The filling is light and rich at the same time. 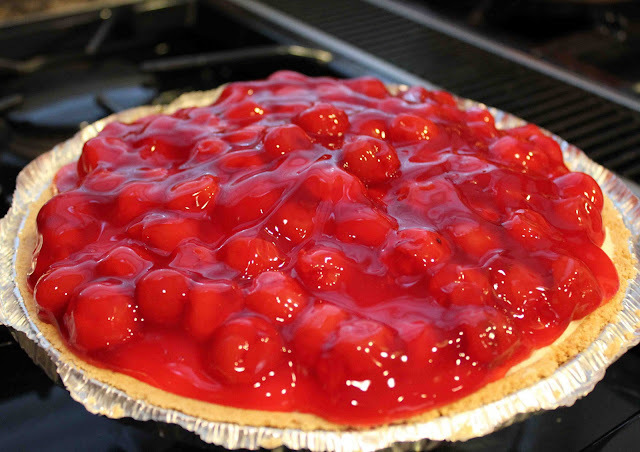 The graham cracker crust is a perfect complement to the sweet creamy filling and juicy cherries. This pie actually reminds me of one of my favorite summertime desserts – Limeade Pie. 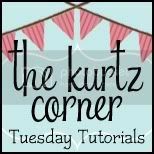 The ingredients are nearly identical, sans the cream cheese and limeade concentrate, and the recipe is just as easy. Beat the cream cheese until fluffy. Slowly add sweetened condensed milk, lemon juice, and vanilla. 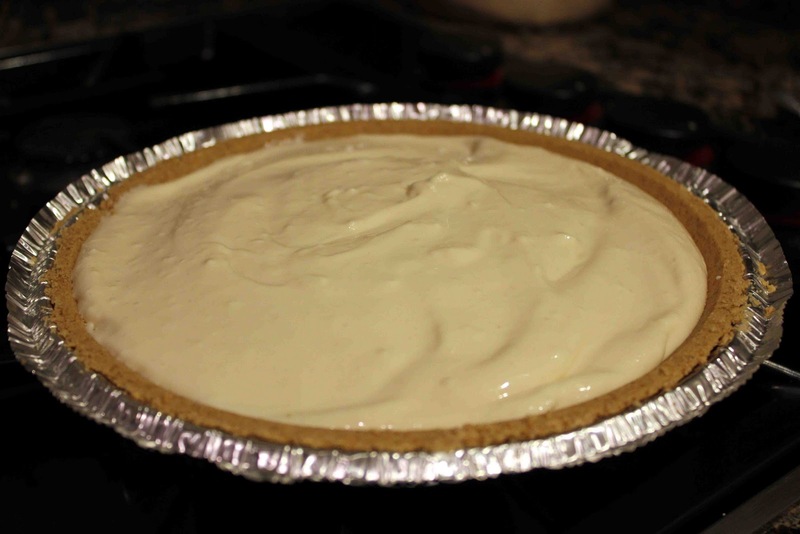 Pour into graham cracker crust and chill for at least 3 hours. Once filling is set, top with cherry pie filling and serve. 1. In a medium bowl, beat cream cheese until light and fluffy. 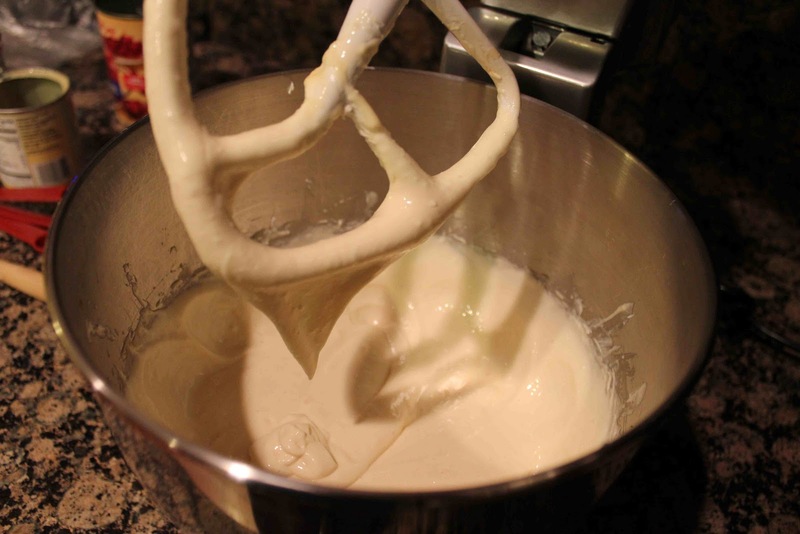 Slowly add condensed milk, lemon juice and vanilla, beating until smooth. 3. Chill at least 3 hours or until firm and then top with cherry pie filling.